Make sure that you've got the right stuff. 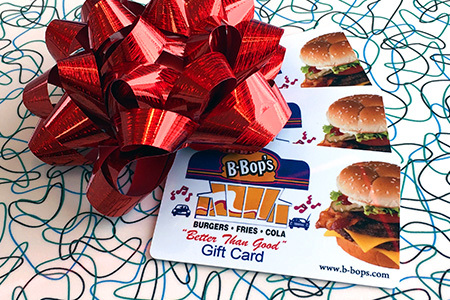 Get your B-Bop's gift cards, apparel, and merchandise today. 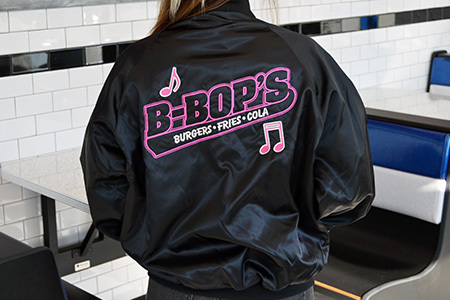 Stop by any B-Bop's location to pick-up your merchandise. Gift Cards are available at all locations and can be purchased in any increment of $10 and up. They are great gifts for birthdays, holidays, or any special occasion. 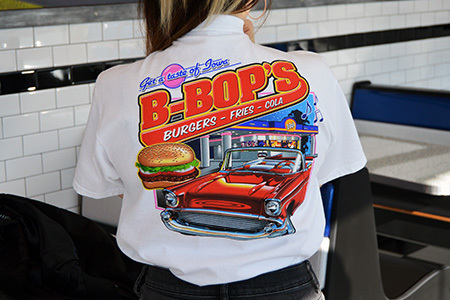 This 100% cotton t-shirt is perfect for a hot summer day while enjoying the great taste of B-Bop's outdoors. Available in Small-XXL.